In a little under a year, Fallout 4 has produced six different DLC packs, even if some people may argue three of them should have been free updates instead. Nuka World, the sixth (and final) DLC pack for Fallout 4, does things just a little bit different than the previous story-based DLCs of Automatron and Far Harbor, putting you as the leader of a gang of raiders instead of playing the hero. The real question people want to know the answer to, though: Does the narrative change stack up to the rest of the game? Thankfully, I’m here to hopefully answer that for you. First things first, you can’t just march into Nuka World on a brand new character. Not only would that be suicidal, but the content is quite tough, even for higher level characters. You can start the DLC as early as level 30, and for some character builds, that’s perfectly fine. It might be safer, however, to venture in later. My character was mid-60s when I first arrived, and there were parts that were still a challenge to get through. The long and short (and mostly spoiler-free) version of the story is you’re set up as the new leader of a group of raiders that have taken over the Nuka World amusement park. Called the Overboss, your character is now responsible for bringing the three gangs that make up the raiders together in a common goal. There are the bloodthirsty Disciples who relish killing a bit too much, the suave Operators who want caps more than anything, and the colorful and wild Pack whose main goal in life is to have fun and have fun having fun. As Overboss, you’re tasked with taking over the rest of the attractions that compose the park. This is where the bulk of the gameplay in Nuka World takes place. Galactic World has been taken over by its robotic attractions, Dry Rock Gulch seems to have an infestation problem, Safari Adventure shows genetic engineering gone awry, Kiddie Kingdom has you facing off against a mysterious, ghoulish adversary, and finally, World of Refreshment has been taken over by a new strain of mirelurk known as the nukalurk. As you clear out each of these areas, you can assign one of the three gangs to run each section as they see fit. It’s Harsh Out There ‘Cause We Want it to Be. After the main section is completed, you get the enviable task of expanding into the Commonwealth proper. There are two different means of establishing a raider outpost. You can sweet talk (even if it means using nefarious means such as persuasion gas grenades) settlers into leaving their land, or you can get a crew together and take it over, guns blazing. Either way, once established, you can choose set up one of the three gangs to run your operations there. What kind of operations, you might ask? Why, stiff-arming nearby settlements into providing resources and tribute, of course! This makes an interesting management as you cannot simply set up every settlement as a raider outpost, or they become unhappy quickly. You see, raiders still require the same basic needs settlers do. Except they don’t want to work the land for their food, if they can avoid it, and prefer other people to provide them additional luxuries. Forcing settlements to provide them with these basic needs is a cornerstone of the Nuka World campaign, requiring you to build an outpost up to 100% happiness before you can continue, which is thankfully much, much easier than making your normal settlers happy. Of course, raiders are a fickle lot, and rival gangs may think you’re encroaching on their turf. Similar to setting up the outposts, you can either talk them down (more like let them know it’s in their best interests to back off), or simply wipe them from the face of the Commonwealth. It’s hard to have a territory when you’re dead, after all! Help You? More Like Help Myself by Helping You! There’s more to Nuka World than just helping the raider gangs, though. Each of the sub-zones mentioned above has its own questline associated with it, and all of these provide some very interesting and powerful rewards for completing. Of special interest is Galactic Zone, where finding every star core and installing it into the central computer there unlocks an incredibly powerful, unique suit of X-01 Power Armor. You’ll generally complete these side missions as you clear out each attraction regardless, so it’s a nice bonus for doing what you already are. There’s also side-quests to find hidden ‘Cappy’ markings across the park, using a special set of sunglasses. 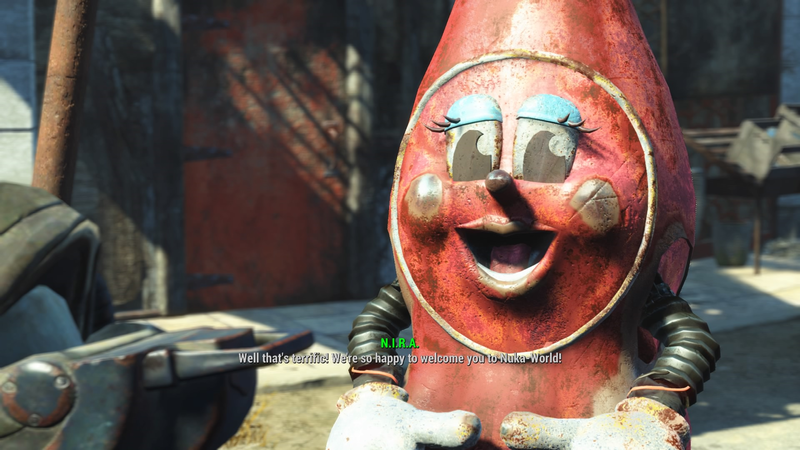 Cappy, for those not in the know, is one of the two mascots of Nuka World — an anthropomorphic bottle cap. Finding these hidden icons leads to some deep, dark secrets about Nuka World itself for the story-minded amongst you. You can also complete a quest for the walking mascot N.I.R.A. to collect ride tokens from a variety of attractions. Finally, you can also assist a group of reclusive people known as the Hubologists reach their promised destinations. In fact, one of the more amusing things to do is to intentionally mess up their final request. Try it sometime; it’s worth a laugh. 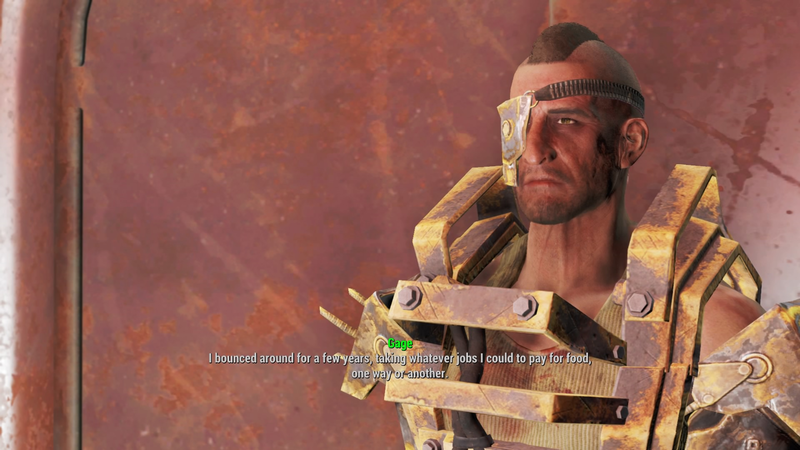 There’s also a selection of various “radiant” quests from the various gang leaders that you can accomplish throughout the Commonwealth. These range from simple assassination style encounters, to trapping and enslaving an NPC to work at Nuka World. You do want to be incredibly careful doing these in main cities, however, because they will make the rest of the people hostile to you (as well it should, raider scum!). Finally, speak to the doctor in the Nuka World Market for an alternate method of dealing with the raider gangs. That’s all I’ll say on the matter. 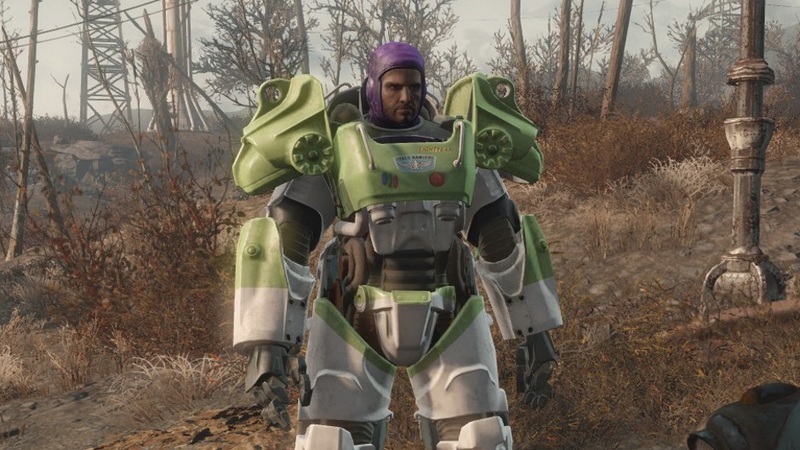 Of course, no piece of Fallout 4 DLC would be complete without a bevy of new weapons and armor. In fact, Nuka World takes it further by adding gang specific items. The Operators, for example, tend to wear rich clothes, and prefer a much more sophisticated, expensive looking get-up for their weapons and armor. This is in stark contrast to the dark and gritty Disciples and the wildly colorful Pack items. There’s a brand new melee weapon in the Disciple’s blade, which is pretty much an improved Combat Knife. There’s also the handmade rifle, which takes all new 7.62mm ammunition. The rifle has a huge dearth of customization options, most of which require specific combat perks to utilize. In fact, several weapons received this treatment, most notably the Baseball Bat and the Sledgehammer. The .44 Pistol also received a new bayonet option that utilizes the Disciple Blade. Along with this, of course, are brand new legendary weapons. Two are immediately purchasable: the Splattercannon (handmade rifle) and the Throatslicer (Disciple’s blade). 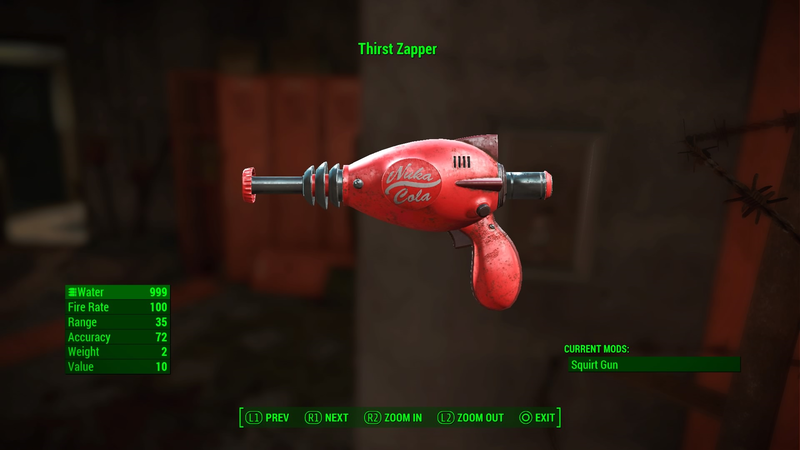 You also unlock the mighty squirt gun Thirst Quencher in the opening quest of the DLC, and can purchase the Acid Soaker and Paddle Ball weapons at the Nukacade for Nuka World tickets, which is one of the new, optional currencies you can find. Of course, there are several more legendary weapons to find, but be aware there were no new modifiers added as were in the Far Harbor DLC. You also gain access to a brand new companion in the DLC: Porter Gage. 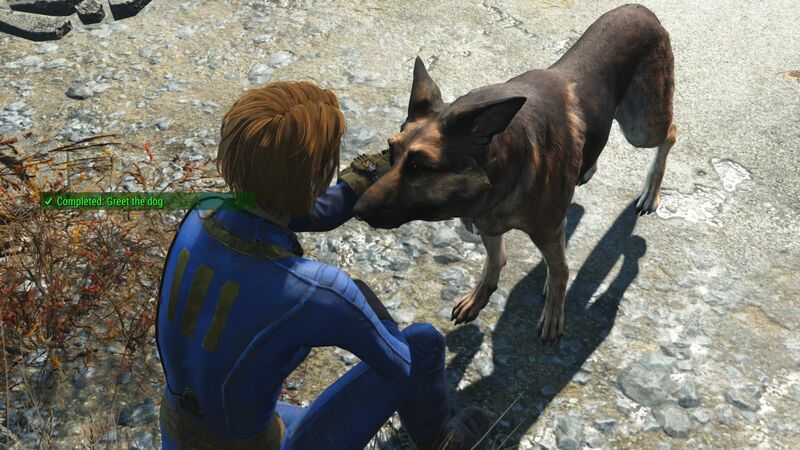 As your second-in-command, Gage is actually responsible for a lot of what happens throughout the Nuka World DLC. He’s a man who does not want to be in charge for fear of reprisal, but definitely prefers to be a second so he ensures his voice is heard. Maxing his affection (quite easy — think like a raider other than chem and alcohol use) also provides quite a decent perk, giving damage reduction and additional experience per kill. 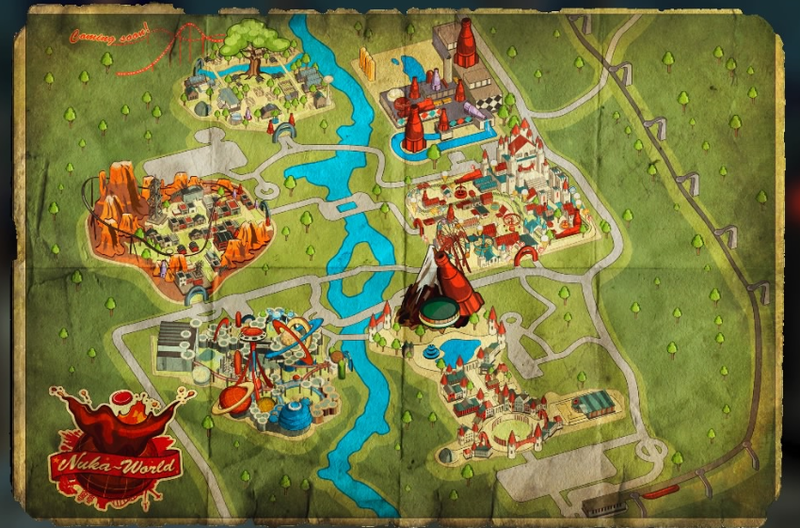 Speaking of perks, there are several new ones Nuka World offers. Collecting the somewhat hidden SCAV! magazines give an assortment of very powerful enhancements in their own rights. You can also obtain one or two perks at the end of the Nuka World quest line, depending on how things play out. Without spoiling too much, these gang-specific perks are quite powerful in their own rights, especially for specific character builds. Finally, for the fashion conscious amongst you, there are a couple of new hairstyles unlocked simply by owning Nuka World. In addition to the hairstyles, a whole slew of color options are available. Likewise, lots of facial tattoo options have become available as well, also coming in a myriad of colors. You can truly look as elegant or trashy as you want to with these new options! Nuka World is not without some inherent problems. The first part of the story is incredibly grind heavy, and then is wrapped up incredibly quickly afterwards. Some of the scaling is quite absurd, I found. Then there’s Kiddie Kingdom, which I loathe from the very depths of my soul. Trust me, it’s not because it’s challenging, it’s because it’s so, so annoying to get through. 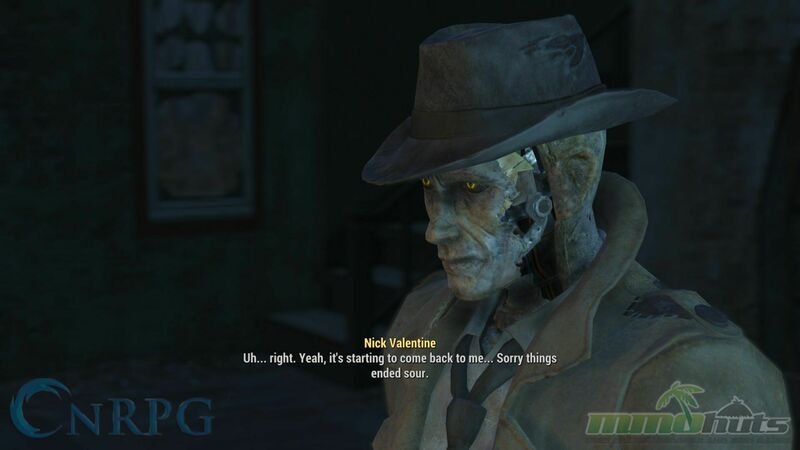 You also do lose out on one of your base companions by choosing to go through the Nuka World campaign. Considering throughout the main story and even most of the DLC you’ve been a decent human being (if not a bit sarcastic), the sudden shift to a villainous narrative can also be quite jarring. That being said, Nuka World does a fantastic job at storytelling. Each of the sections of the park has a superb amount of depth involved and a wide variety of sights and sounds to take in. There’s still a lot to be done after clearing the storyline too, which is a wonderful departure from Automatron and Far Harbor’s endings. Plus it’s just plain fun, even when being grindy. All the new little additions like giant ant swarms and glowing blue nukalurks just help to differentiate it from the Commonwealth experience, much like Far Harbor did. All in all, if you’re a fan of Fallout 4 and want a unique experience, you owe it to yourself to check out Nuka World, and start raiding! 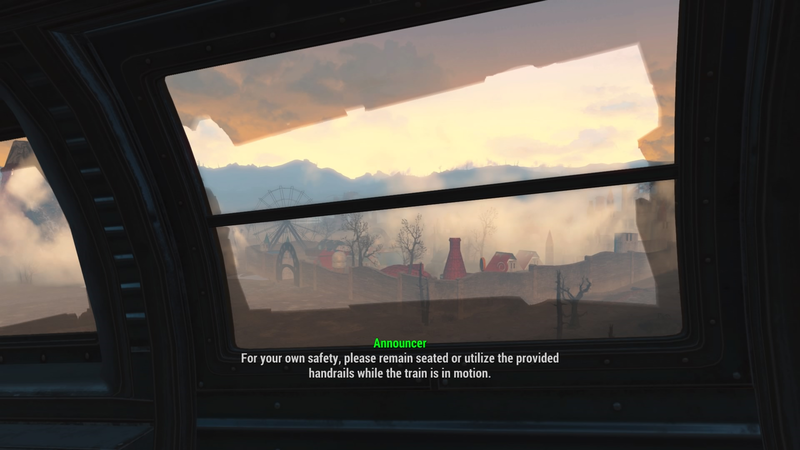 Fallout 4 Review: Should You Board The Hype Train?